Osidge N14 Gardeners & Tree Surgery | RDA Cleaning & Maintenance Ltd.
RDA Cleaning & Maintenance Ltd. is a professional gardening company that specialises in providing great gardening maintenance in Osidge N14 area. Our vetted gardeners have years of experience behind their backs. From lawn mowing to tree surgery we provide it with all. Our company will do everything in its power to bring its great services to as many customers as possible. The affordable gardening prices make everything that we provide even more tempting. 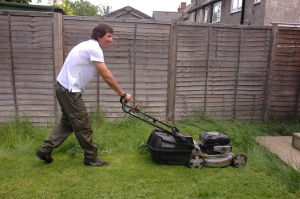 All our gardeners Osidge N14 are well-trained, gifted and motivated for any cleaning, trimming or other gardening type of job: whether odd or classical. They never leave a place with unfinished job. If you want, RDA Cleaning & Maintenance Ltd. can offer you convenient gardening subscription for visitations on a regular basis: daily, weekly, fortnightly and monthly. You are allowed to require the same gardener for every visitation. All of the enthusiastic gardeners are insured and able to perform the ordinary chores: removing overgrown lawns, flowers, weeds, up to 180 l of green waste is removed for free, as well as grass cuttings, hedge clippings, getting rid of twigs, small branches, animal bedding and straw vegetation. Also, we apply specially tailored products like efficient weed killer. Whethere you don`t have time, or your garden hasn`t been touched and maintained for years, the talented and motivated gardeners come to help you right away. All homeowners, tenants and landlords are welcomed to order the fast, secured, eco-friendly and effective garden renovation and maintenance in Osidge N14. Our trustworthy garden service company guarantee you full customer support and perfect final outcome. Call our gardeners and receive the best offer for your home exterior. All the gardeners are well-trained, educated and fully insured. In case of any omission, loss or damage during the procedure, our competitive gardening company will cover all the faults. Do not doubt, but rely on our top rated and hassle-free gardening maintenance service in Osidge N14! Get a free quote right away! We offer reasonable and affordable prices. To make an instant order, please, use the online booking form on our website. Note that free surveys are available on site. Dial this phone number 020 3404 1646 and contact us right away! We will be truly glad to assist you in turning your outdoor space into a welcoming and lovely area.